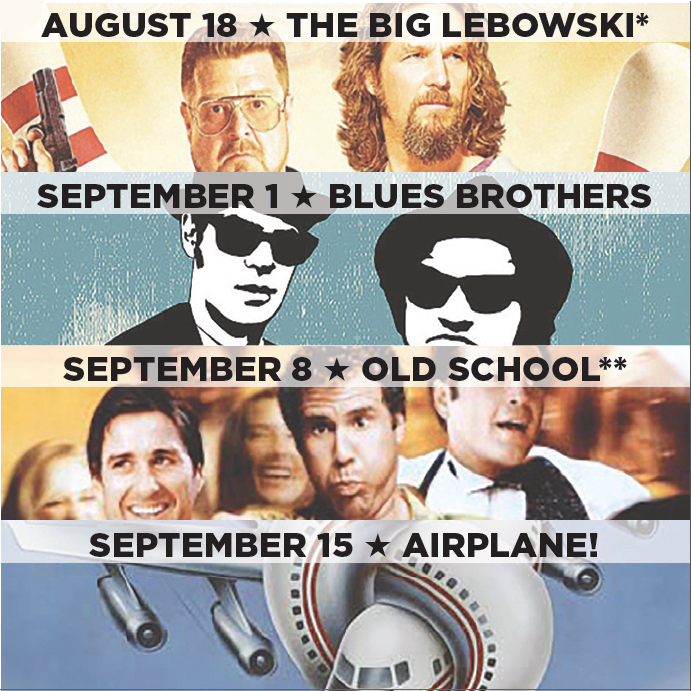 *August 18 (Dude Night) includes a costume contest, bowling pin art, and trivia. Doors at 7, film at 9. All other nights, doors at 7, film at 8. Get your tickets now! ** September 8th (Frat Night) hosts a double feature with pizza delivery between films (thanks to the wonderful Delivery Dudes).